Jon Jones is one of the most successful Mixed Martial Arts fighters of all time. He has won 22 of his 24 bouts, and also possesses the second longest winning streak in the UFC (13 fights). Who is Jon Jones, how old is he, when is his birthday, how tall is he, where is he from and what is his background? Jon ‘Bones’ Jones is an American Mixed Martial Arts (MMA) fighter. He was born on July 19, 1987, and is 31 years old. He stands at 1.93 metres tall. Born the son of a pastor in up-state New York, Jones was an outstanding wrestler at school and college before starting to compete in MMA in 2008. His brothers Arthur and Chandler are both professional football players. Why is Jon Jones famous and what is his occupation? Jon Jones is one of the most successful MMA fighters in the history of the sport. Many regarded him as the G.O.A.T (greatest of all time), however, this reputation has been tarnished by controversies outside the sport and allegations of PED use. According to coed.com, Jon Jones’s net worth is $10million. In addition to his payments for fights, Jones received income from sponsors which historically included Nike, until the deal was ended following Jones brawling with Daniel Cormier at a UFC press event in 2014. How much does Jon Jones earn? 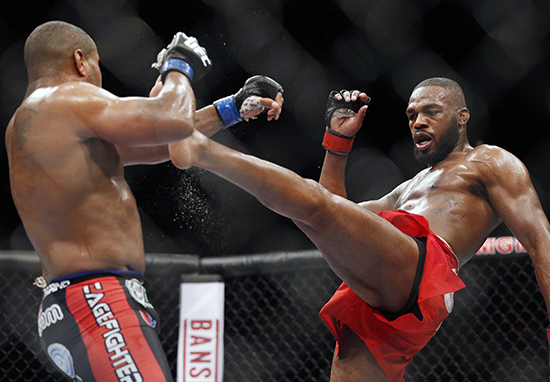 It is thought that Jones is paid $400,000 for a fight. In addition, he earns a bonus of $50,000 if his bout is awarded Fight of the Night. How much does Jon Jones weigh? As a light heavyweight fighter, Jon Jones weighs in at 205 lbs or 93 kg. How much does Jon Jones make a fight, when does he fight next, when was his last fight, how many fights has he won, what are his most famous fights, who has he lost to? Jones is provisionally suspended after testing positive for steroid use in August 2017. As a result of this, his win over Cormier in July 2017 for the UFC Light Heavyweight Championship was annulled and the belt returned to Cormier. Jones has had 24 professional MMA bouts, winning 22 and being disqualified once for his use of elbows in a fight against Matt Hamill. 1% Better every single day! Block pulled 635lbs today, was a 35lb jump from my previous best. He won his most recent fight against Daniel Cormier to regain the UFC light heavyweight title but this win was overturned after a failed drugs test. Jones has said his toughest opponents were Alexander Gustafsson and Daniel Cormier, with his 2013 fight against Gustafsson winning Fight of the Year. Is Jon Jones married, who is he married to, who has he dated, how many kids does he have? Jon Jones is engaged to his high school sweetheart Jessie. They have three children Leah, born in 2008, Carmen born in 2009 and Olivia born in 2014. There are unconfirmed reports he has another older daughter. Great 4th with my girls.. ???? What felony did Jon Jones commit, what did he test positive for? 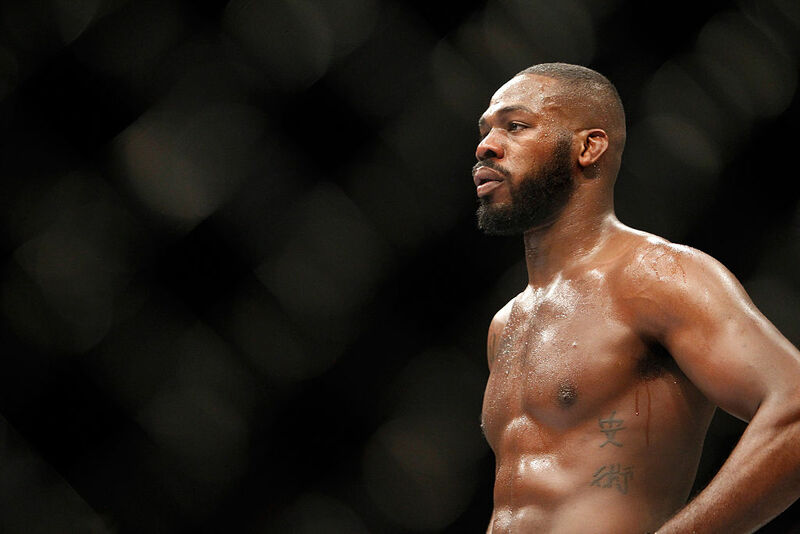 In April 2015 Jon Jones was arrested for a hit-and-run offence and pleaded guilty in September 2015. He was sentenced to community service and if he completes these obligations the felony charge will not be written on his record. Jones has also tested positive for drugs a number of times. Just before he was scheduled to fight Daniel Cormier at UFC 200, Jones tested positive for two violations of the World Anti-Doping Agency’s banned substances list. Jones maintained his innocence and was able to prove that he had taken a legal drug called Cialis, which was found to be contaminated with the illegal substances. He was only given a one-year suspension as the panel concluded that Jones didn’t take the banned substances intentionally. On July 28 2017, his weigh-in sample ahead of his bout against Cormier tested positive for Turinabol, an anabolic steroid. As a result Jone’s victory in the fight was changed to a no-contest after Jones’ B sample also tested positive. Jones says he did not knowingly take any illegal substance. What kind of cat does Jon Jones have? In 2014, Jones lost his cat Mufasa and offered a $1,500 reward for its safe return. He was later reunited with the cat, which is a cross between an African serval cat and a domestic house cat and is called a Savannah cat. It weighs around 20 pounds or 9kg. When is his next UFC fight, will he fight again, who did he lose to in UFC, what is his UFC record? Jones is provisionally banned from fighting in the UFC. He is challenging this ban and hopes to fight again. He has had 24 fights, won 22, been disqualified once and had his last win changed to a no contest after he failing on both the A and B samples of a drugs test. Jones has not retired. He is currently fighting his UFC suspension and says he did not knowingly take a banned substance.